You maybe knew about AcSignApply.exe but did you know that command line tool is available too? It’s not so obvious because AcSignApply.exe is found in the installation folder of AutoCAD but AcSignTool.exe is not. AcSignTool.exe can be downloaded here and described here. It’s for AutoCAD 2016 but should work for AutoCAD 2017 too. In AutoCAD 2016 it was added the ability to digitally sign lisp files (.lsp, .fas and .vlx). There is the GUI version, AcSignApply.exe (which gets installed in the AutoCAD install folder) to sign the lisp files. AcSignTool.exe is the commandline version of AcSignApply.exe. It is meant for signing lisp files in a batch process. AutoCAD doesn't need to be installed. You can find the usage instructions by entering AcSigntool.exe /? /file:[inputfile] Full path of the file that needs to signed. /file:[certs] Certificate to be used for signing, please enter the serial number. The following certificates are available for signing on this machine. /time:[timestamp] Timestamp that should be used for signing please enter the index. The following time sources are available. /comment:[description] Description to be included in the signature. -force Clears the Read-only file attribute. IMPORTANT: Please ensure that AcSignCore16.dll is available with the tool, copy timesrvr.txt to AcSignTool exe folder. If you need help with any Lisp customization feel free to contact us. SSMPropEditor 6.4 is now available. Are you using the Sheet Set Manager then you will save a lot of time, frustration and money with JTB World’s SSMPropEditor. Export and Import to Excel files does not require Excel to be installed. This makes it work with other software that can edit XLSX files. Natural sorting implemented for sorting of sheets in the tree view. Before it was for example sorted like S-001, S-1001, S-101 but now as S-001, S-101, S-1001. Version 6.4 has some known Vault issues that makes it not work in all environments. Work is being done to fix it ASAP. For all details on this release see the revision history. Downloads are available here and works in trial mode for 30 days. Existing customers can upgrade for free and use their existing license file. More from JTB World: Create new Sheet Sets including drawings based on an Excel template with our JTB Sheet Set Creator or make merge, purge and convert with JTB DST Tool. If you would need help to develop any custom app or program we can help. We specializes on AutoCAD and Revit but also do work for other CAD platforms as well as pure Windows apps. You are welcome to contact us. JTB Layout Palette is a new app from JTB World that makes it easier to work with and manage drawings with many layouts or when the layout names are very long. Run command LAYOUTPALETTE or click to the ribbon panel to Show or Hide the Layout Palette. You can quickly browse for layout, add, delete or edit name like working on a spreadsheet. This app is for you when there are too many layouts, or the layout names are too long to effectively work with out-of-the-box in AutoCAD or BricsCAD. If you would like to try it visit JTB Layout Palette. "Delete only files older than specified number days" setting did before not delete files as expected. This is not fixed. Fixed error that caused SmartPurger to stop when path or files names were very long. Fixed error that caused SmartPurger to stop when it reached certain folders that could not be accessed by the current user. Download the update either as a customer or if you want a trial. What is SmartPurger? SmartPurger can batch purge CAD drawings as well as run custom scripts (SCR or LSP). Delete old backup and other files you may not want to take up space. Works with AutoCAD, BricsCAD, GstarCAD and possibly other DWG compatible software. And there are more features. "You provided an excellent product in “SmartPurger”. This application suits us perfectly." - Clint Hill, that found these issues and also helped to test this version. JTB Word's DWG Columns for Explorer has been updated to version 3.1. DWG Created By, DWG id, DWG Reg and DWG Build are new columns in DWG Columns. DWG Created By (can for example show AutoCAD 2017 or Inventor 2017), DWG id (for example ACAD0001409 making it possible to see difference between a drawing created in AutoCAD or an AutoCAD vertical like AutoCAD Architecture. ODA can show for a DWG created with the Open Design Alliance API), DWG Reg (Version in registry, for example 210 that stands for R21.0) and DWG Build (AutoCAD build number, for example N5200x64). If you are also a Revit user our RVT Columns shows the Revit version and Revit build for RTE, RVT, RFA and RFT files. 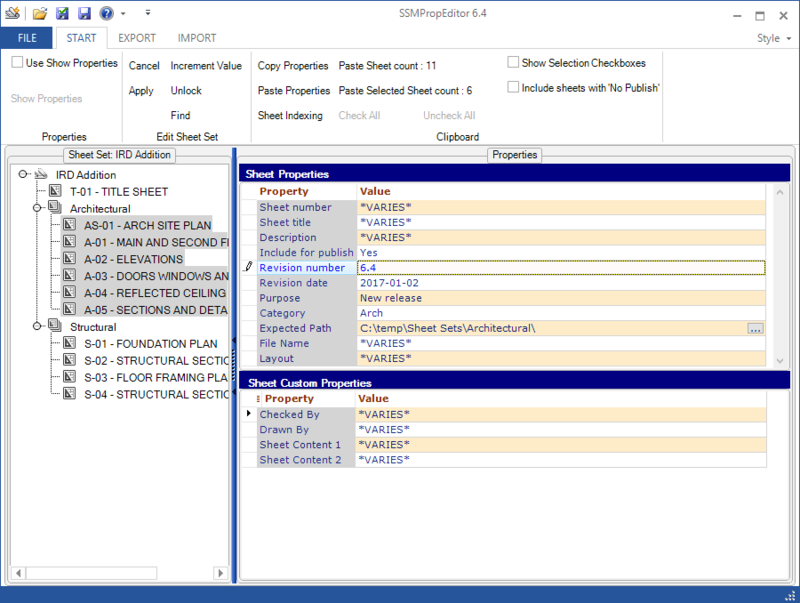 JTB Sort Table app by JTB World, sorts data in AutoCAD or BricsCAD tables, ascending or descending in selected columns. Just as easy as in Excel, you select table or cells (in AutoCAD), run the SORTTABLE command or start it from the Add-ins or Plug-ins ribbon tab in AutoCAD or the JTB Sort Table ribbon tab or toolbar in BricsCAD, then select columns to sort them. If you want to try it before buying it visit the app page JTB Sort Table. JTB FlexReport LT 1.4 is now available also as an app for AutoCAD on Autodesk App Store. Screenshots from a sample HTML report. All users using a license will be listed, when the license was checked out and how many hours it has been used. The aggregated list sums up multiple license servers and gives an overview of the features (applications/modules/packages), number of licenses issued, in use and available. RVT Columns can now be downloaded as trial from the Autodesk App Store site as well as be purchased from there. With RVT Columns you can see the Revit Version and Revit Build in Explorer and File browsing dialog boxes.